Top 5 Diwali Gifts for Parents Full Of Emotions and Meanings! Yeppie, the most joyous festival Diwali 2016 is nearing!!! Crackers, diyas, gifts, sweets, and new clothes, of course these are the inherent highlights of Diwali. But, wait! 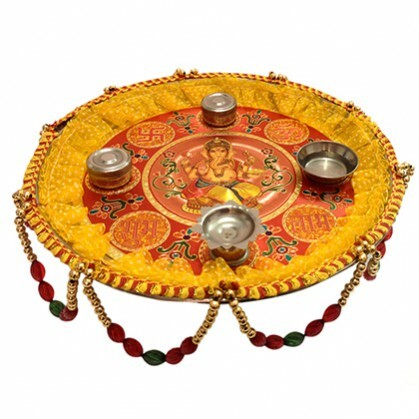 Have you ever thought of buying some Diwali gifts for your parents? Parents are the ones, who do not expect something from us though sacrificing everything for our upbringing. Why don’t you make this upcoming festival of lights unforgettable for them with hopping on Diwali Gifts shopping especially for your parents? Yes, trust me, seeing a smile on their faces while handing them these tokens of love would be precious of all lights and glitter. So, guys and girls, ladies and gentlemen, let’s dig out some quirky but meaningful gifts for your parents this Diwali! Apparels: Till date you have been receiving new clothes from your parents. Now, let them know you think of them by buying a brand new piece of clothes for them! When it comes to festivities, ethnic is the most preferred attire by one and all. Buy a set of kurta pajama, or shirt pant for your loving dad. And, for mom, of course you may buy her favourite saree she had been longing from a long time, but couldn’t. If she’s fond of anarkalis or salwar suits, buy her. Get her the type of ethnic wear she wants this Diwali. Books: Sounds quirky, right? Yes, if your parents are bibliophiles and love to spend their leisure time in reading, get them their favourite book! No matter what genres they prefer, getting the books of their choices will fill their eyes with sparkles! If they love religious books, there are many options to choose from! Gift Hampers: Did I say gift hampers? Yes, remember, the time when your parents bought you a box full of gifts? Ahhh that was amazing. No don’t get lost, come here. No matter in which phase of age we step in, gifts and goodies always make us happy so do your parents. Buy a big box full of goodies for them and let them know their kids think of nothing but their parents’ happiness! Festivity doubled, yahoo! A Dinner Date with Parents: Teel the last time you had dinner with your parents? Hmm, long years ago. As home cooked food cannot be compared, but how about giving your mom some respite from kitchen chores this Diwali? Take your parents out this Diwali for dinner and have some gala time. Whichever tips suggested above you may choose, one thing is sure, you’re going to see a smile on your parents’ face for sure! So, don’t think much and get yourself for Diwali shopping exclusively for your mom and dad!